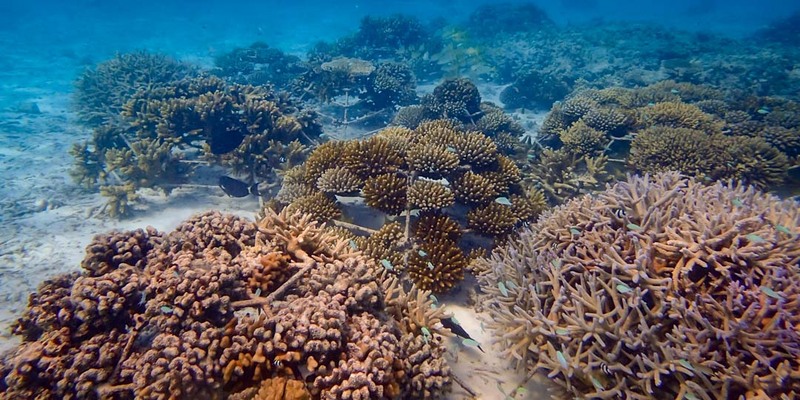 In 2001, Maldivian environmental consultancy company Seamarc started working with Four Seasons Resort Maldives at Kuda Huraa to improve coral cover around the Resort and aid reefs damaged by coral bleaching. 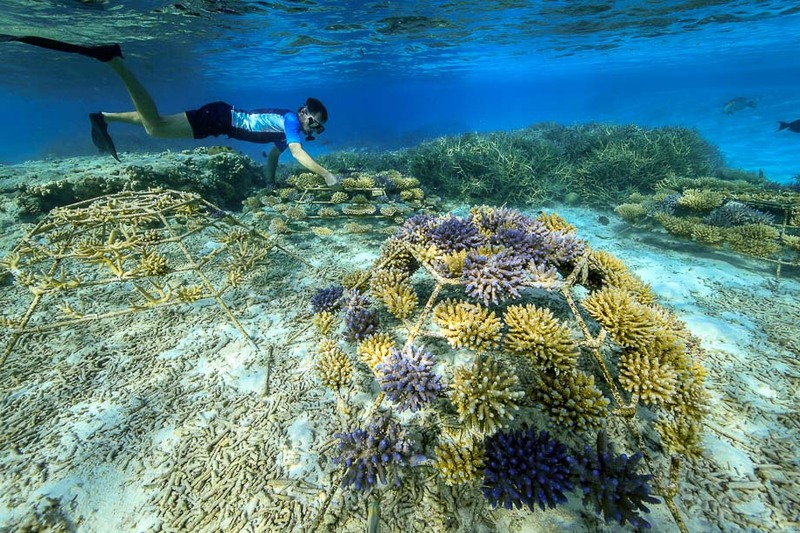 Little did either party know that their partnership would develop to become one of the most successful reef propagation projects of its kind in the world: Reefscapers. 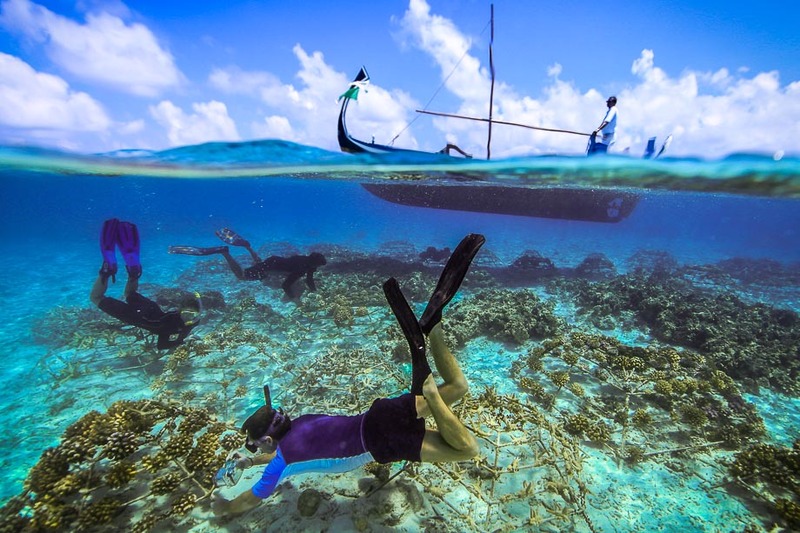 Today, Reefscapers runs pioneering projects at the two Four Seasons islands of Kuda Huraa and Landaa Giraavaru in the Maldives. 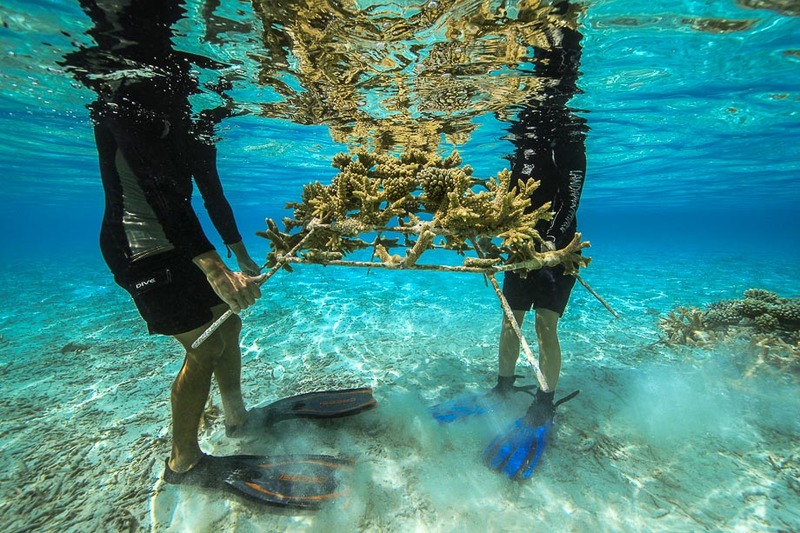 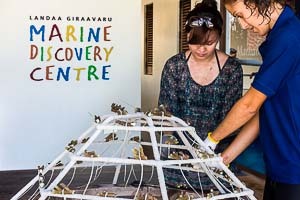 Sponsored by the Resorts and their guests, the transplantation process involves attaching coral fragments onto a coral frame – produced by a local co-operative of eight employees – to boost existing reef habitats and generate new ones. 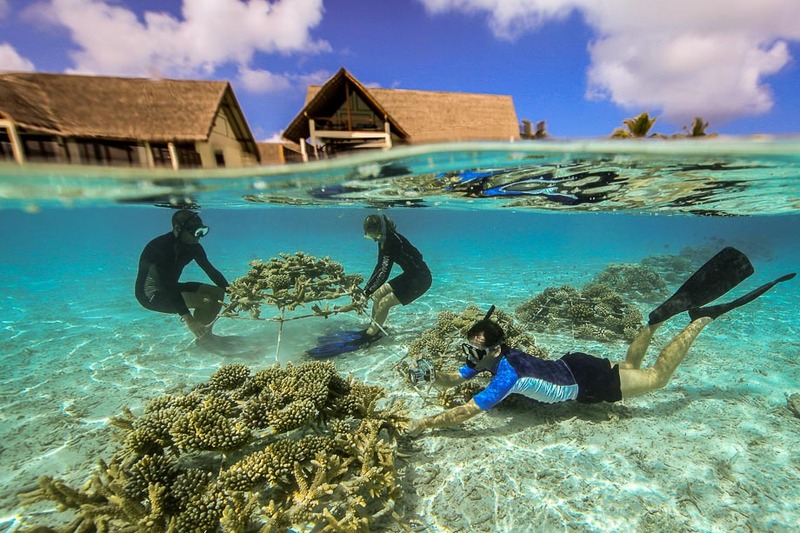 To date, the project has deployed over 5,000 coral frames in the waters around the two Resorts, covering an area in excess of one hectare and featuring over 40 thriving species of corals. 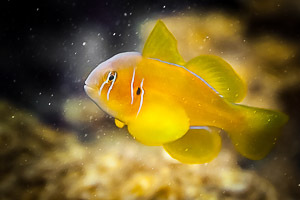 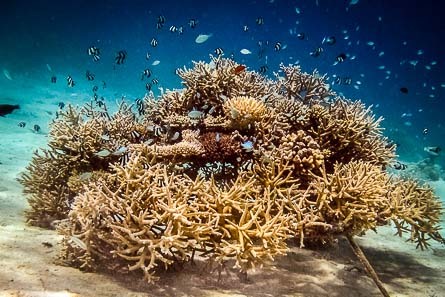 Some corals have been specially selected to help re-establish severely threatened fish species, including Gobiodon citrinus (citron goby), which all but disappeared from the northern atolls of the Maldives following the devastating bleaching event of 1998, which killed 90% of the country’s shallow water corals. 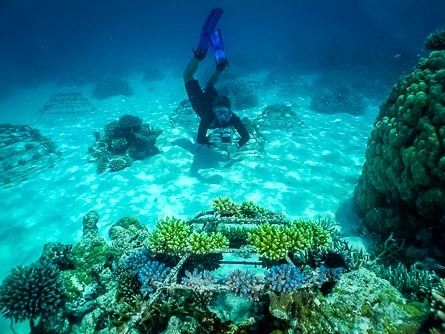 Transplanting the corals successfully is just the start of the process. 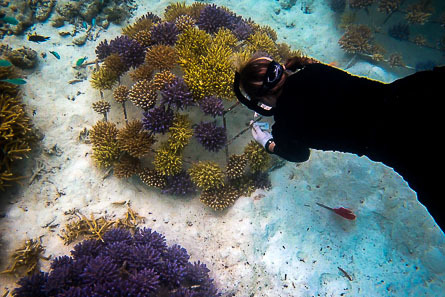 The exact location of each coral genotype is logged on a central database to help the team identify species better suited to higher water temperatures and therefore more resilient to coral bleaching events. 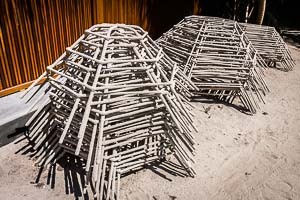 Then a strict process of monitoring and recording commences, with each frame regularly inspected and photographed, with maintenance work undertaken when necessary. 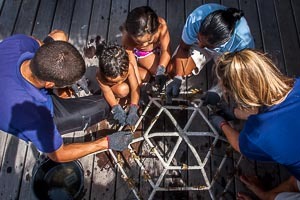 Photographic evidence of each coral frame’s growth is used to retrieve information of species competition and fish fauna supported, while temperature gauges are used to monitor the health of the reefs around local uninhabited islands and assess anthropogenic impacts on the Resorts’ corals. 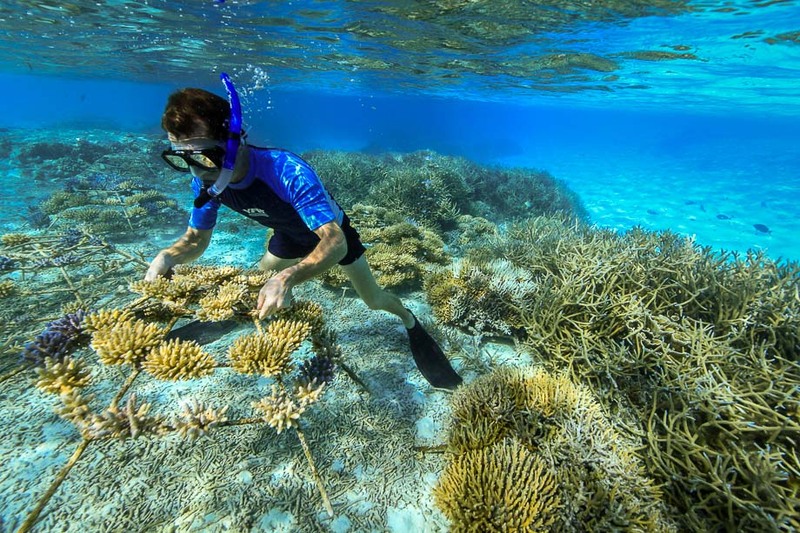 So well-established are the Resorts’ oldest coral frame colonies that they are now themselves spawning, contributing new baby corals to the surrounding natural reefs. 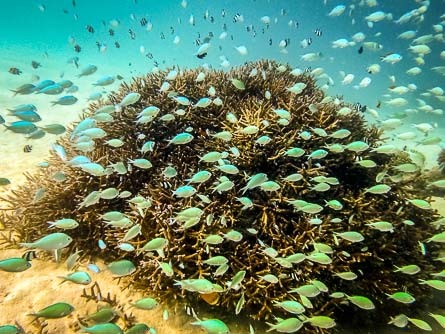 By increasing the reproduction of the most successful clones, the team is working towards the development of ever more resistant coral offspring, better adapted to withstand higher seawater temperatures and so help the corals in their fight against global warming.